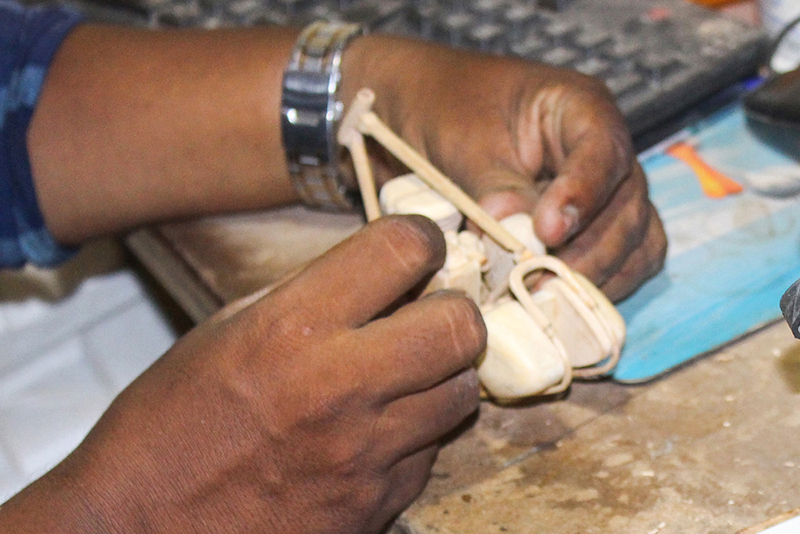 The making of miniature wooden motorcycle is very complex, yet stimulating. 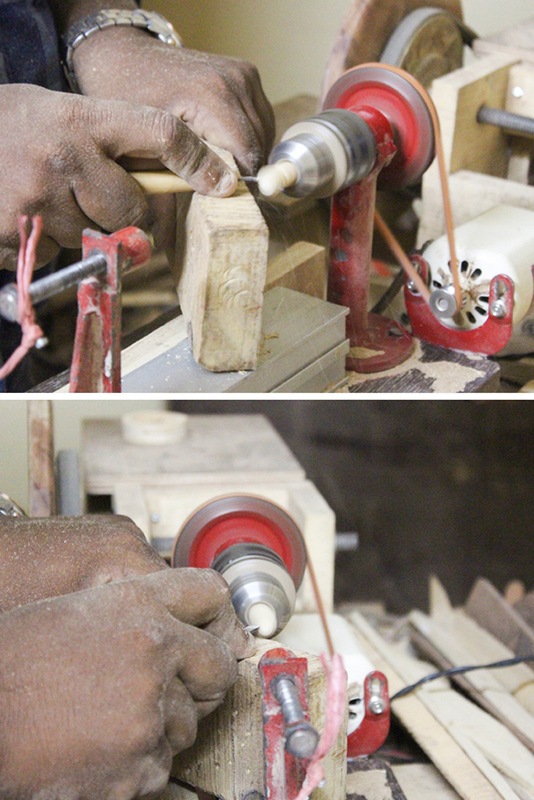 Only a skilled craftsman who is persistent and committed can make this article which is intricate and distinguishable. 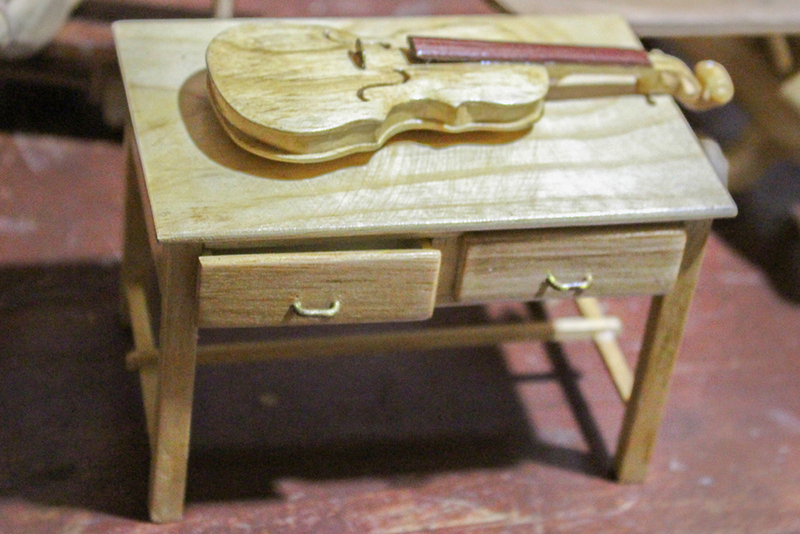 Rubber wood is used to make this article. Rubberwood is a light-coloured medium-density tropical hardwood. 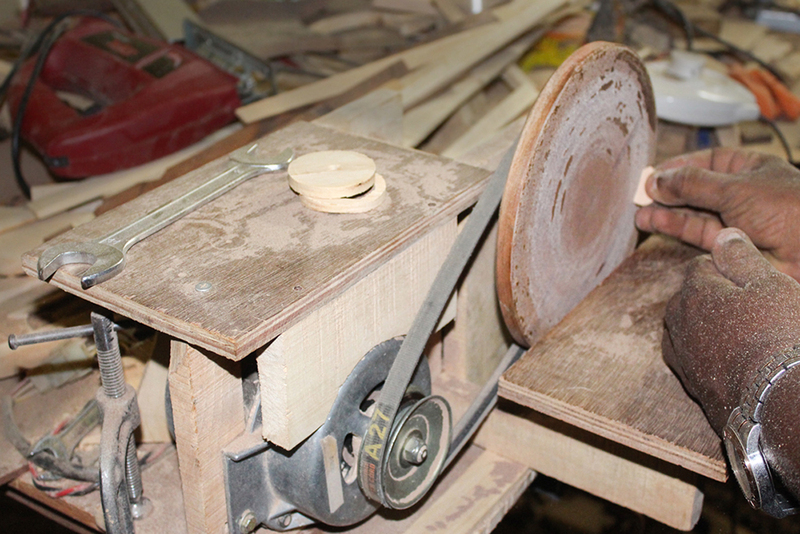 Rubberwood is commonly advertised as an “environmentally friendly” wood. Rubberwood has a dense grain that is easily controlled in the kiln drying process. 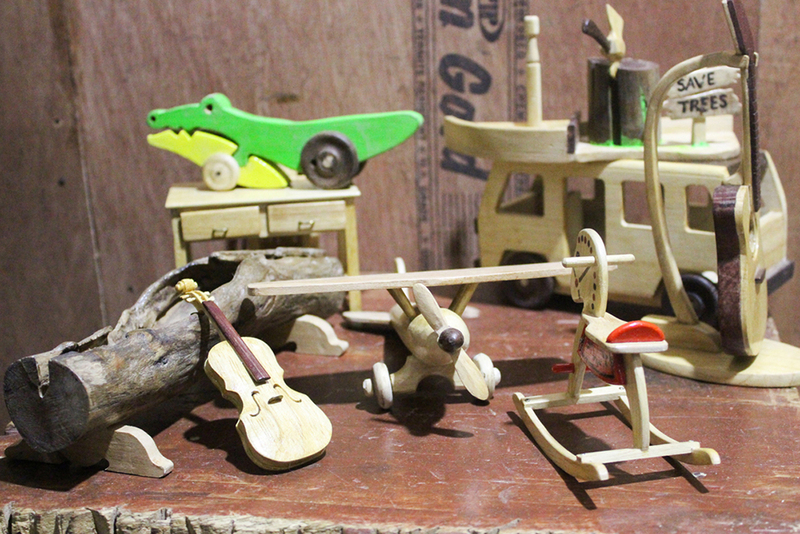 Rubberwood has very little shrinkage making it one of the more stable construction materials available for furniture, toys and kitchen accessories. It is easily worked, and takes on stains uniformly. 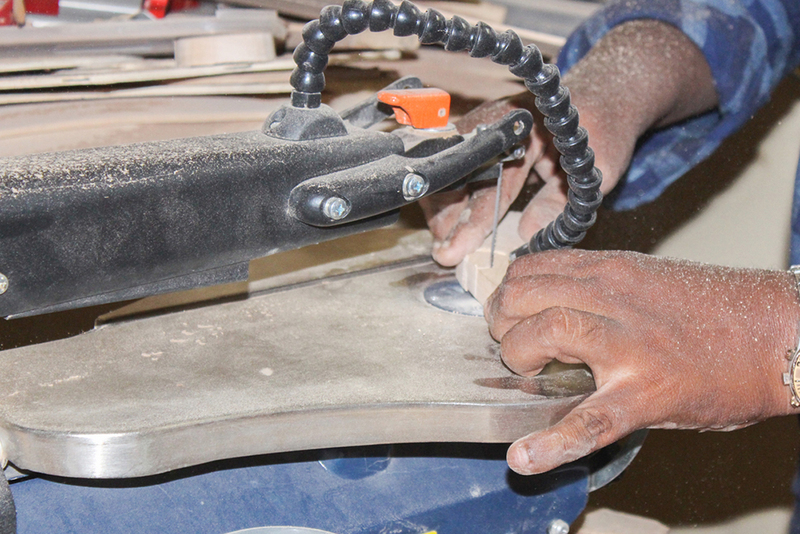 Rubberwood comes in varying degrees of quality. It is not suitable for outdoor use, as rain can leach the protective chemicals from the wood, exposing it to fungus and insect attacks. 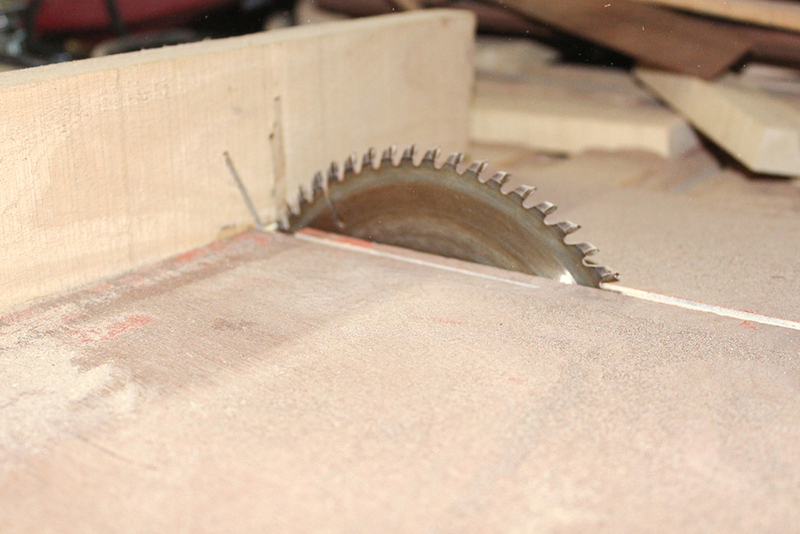 Excessive moisture will also cause the wood to warp and rot. 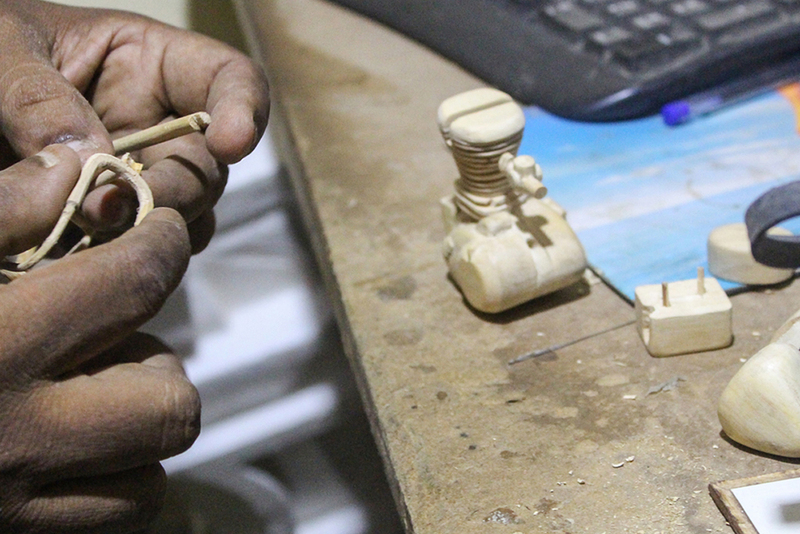 To build the wooden motorcycle toy, artisan makes miniature part of the bike and later assembles them into place. 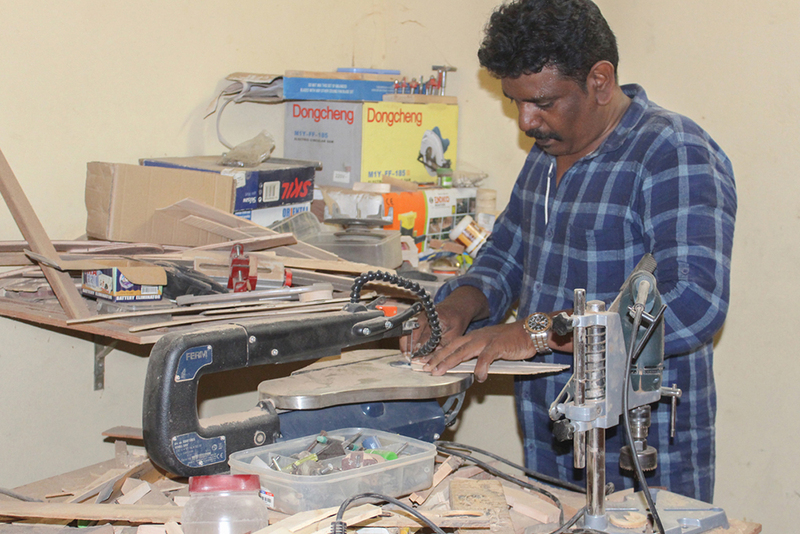 Machines like Electric Jigsaw, Electric Dremel Grinder, Bandsaw machine, Electric Sanders are used for cutting, giving wood a shape and buffing it. 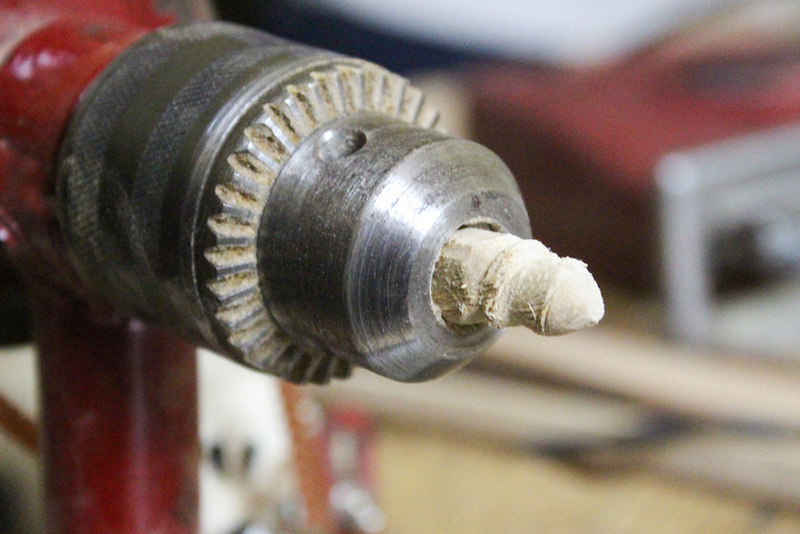 The wooden parts are further smoothened with sandpaper if necessary. 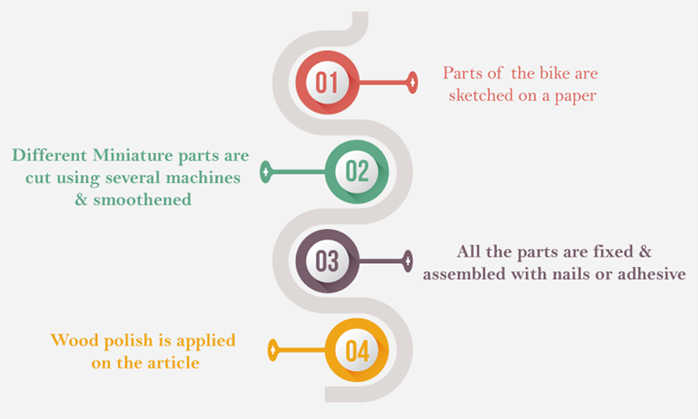 Several parts are made which will be assembled after completion. Handlebars, headlight, triple tree top, triple tree bottom, exhaust pipes, forks, front wheel spacers, wheels, foot pegs, tank, bike frame, seat, rear wheel axle, rear fender, battery cover, engine cylinder and cover are few of the parts made. 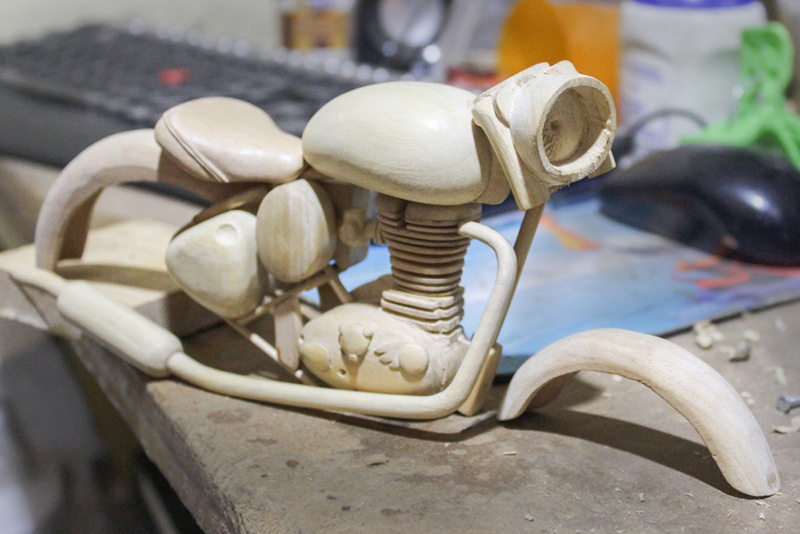 These motorcycle parts are later fixed together either with adhesive or with nails. 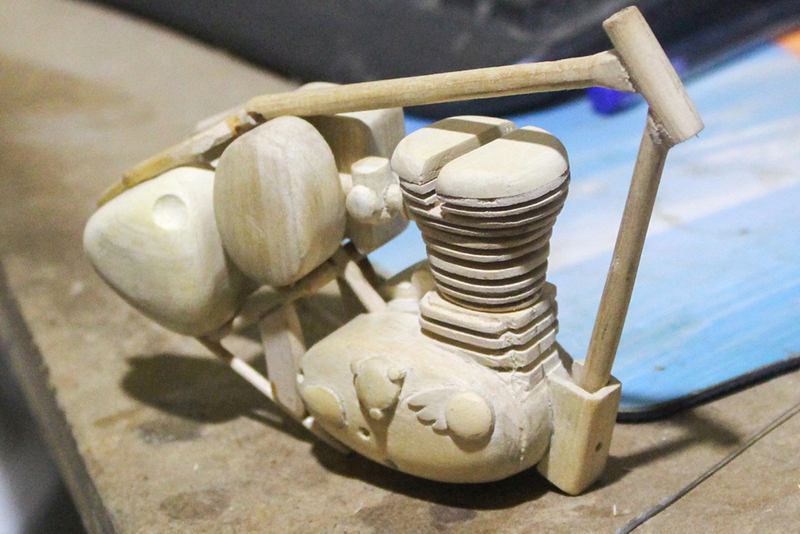 Wooden polish is applied on the bike to give it a shine and makes the durability longer.